The Texas attorney general’s office has asked a federal court for permission to intervene in a case about whether a county jail can hold undocumented immigrants for transfer to federal custody and subsequent deportation. Texas Attorney general Ken Paxton's office has asked a federal court for permission to intervene in a case about whether a county jail can hold undocumented immigrants for transfer to federal custody and subsequent deportation. The case stems from a lawsuit against Dallas County Sheriff Lupe Valdez, who was sued in 2015 for allegedly violating a detainee’s constitutional rights. Valdez has declined to comment on the ongoing case. In the case, Mercado v. Dallas County, a federal court ruled last year that an ICE detainer — a request from federal officials to local law enforcement to hold an inmate for possible transfer — didn’t provide probable cause to law enforcement to detain a person because probable cause is an issue relevant to criminal cases, while immigration is a civil matter. Paxton’s office noted in a statement that although some charges were dismissed, the court has allowed the case to continue on the issue of whether Dallas County violated the U.S. Constitution by complying with requests from Immigration and Customs Enforcement to hold the inmates. The case could have a major impact on how sheriffs across the country cooperate with federal immigration officials. The Texas Legislature is currently debating a state-based immigration proposal that would outlaw “sanctuary” jurisdictions in Texas – the common term for local entities that don’t enforce federal immigration laws. The Texas Senate passed its version of the bill, Senate Bill 4, last month, and the House is expected to debate its bill this month. 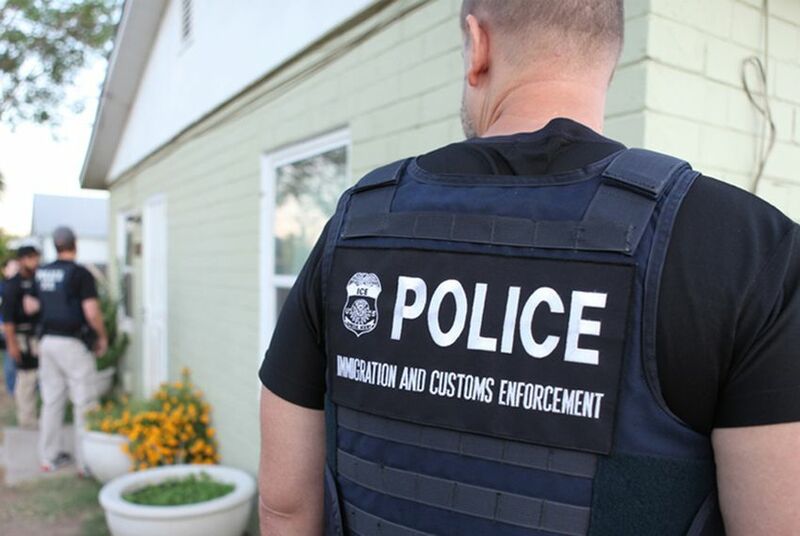 But immigration attorneys and opponents of the proposal have suggested that state-based enforcement is challengeable in courts, specifically because of the detainer issue. Paxton’s motion to intervene comes after the attorney general sent senators a letter last month reassuring them that the bill would withstand court challenges on several fronts. In that letter, he specifically cited the Dallas case and said that a prior ruling allows for prolonged detention as long as there is sufficient cause. Immigration attorneys shot back, saying Paxton’s analysis doesn’t apply to state-based immigration enforcement because the ruling doesn’t give state law enforcement agencies the authority to detain inmates but instead affords it only to ICE when deportation is already forthcoming. Abbott hits Dallas over "sanctuary" policies. Thousands of times, local jails across the country — including in almost three dozen in Texas — failed to hand over deportable immigrants to federal authorities.